By now, it should be clear that a successful ecommerce website relies on more than just a listing of products. Retailers need to do more than just clarify a path; they must entice shoppers to perform the desired action. In order to do that, your website should include strong calls to action (CTA). Typical calls to action include ‘buy now’ or ‘learn more’ commands. But creating a truly compelling CTA requires the right formula. To apply the formula, you’ll want to follow some tried-and-true best practices that can help propel your sales and capture more leads. Remember that CTAs are meant to do more than convert the sale. If you create content for your marketing, for instance, you may want to keep potential shoppers browsing that content before they’re ready to buy. 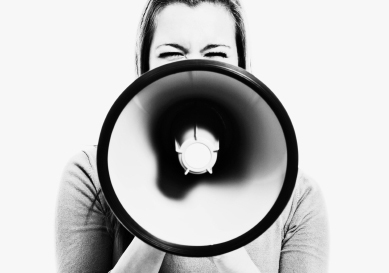 Check out some of our tips for creating great calls to action. 01. Start your CTAs with verbs. 02. Design buttons with contrasting colors that pop. Creating call to action buttons that pop requires a touch of color. But the exact color doesn’t matter quite as much as how the button contrasts with other colors on the page. After all, you want your shoppers to easily find their course of action. Set it off from the rest of the content and it’ll have a better chance of converting. 03. Give them room to breathe. Because you want your CTAs to pop, you should leave ample white space around them. That way, shoppers can easily find the next step in their browsing experience. However, it’s still important to identify a clear connection between the content on the page and the call to action. According to marketing experts, the most effective spot to place a call to action is in the top right corner of the page. Your second priority in placing these kinds of buttons above the fold to make them as simple to use as you can. Lastly, at the end of a blog post, article or product page, you have an opportunity to drive the shopper to another product or content page. 05. Place them in copy. Your CTA doesn’t always have to be a button. It could be a simple hyperlink placed in the body copy of your article, product listing or other piece of content. The important thing is that a CTA placed within copy doesn’t take away from the action the visitor is completing on the current page. Keep it relevant and make sure it doesn’t interrupt the flow.